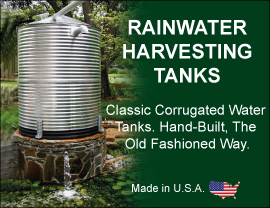 American Tank Company is proud to offer the Rectangular Total Drain Tanks. When your needs are a full drainage for irrigation, fertilizing or chemical spraying, the full drain tank is just what you need. Tanks are manufactured from medium-density polyethylene with U.V. inhibitors and designed for containment of liquids of up to 1.7 specific gravity. Call toll free today: 1-877-655-1100 to speak to one of our friendly and knowledgeable Total Drain Tank Specialists.